Industrial AC connectors from Polish manufacturer PCE are now available at TME. 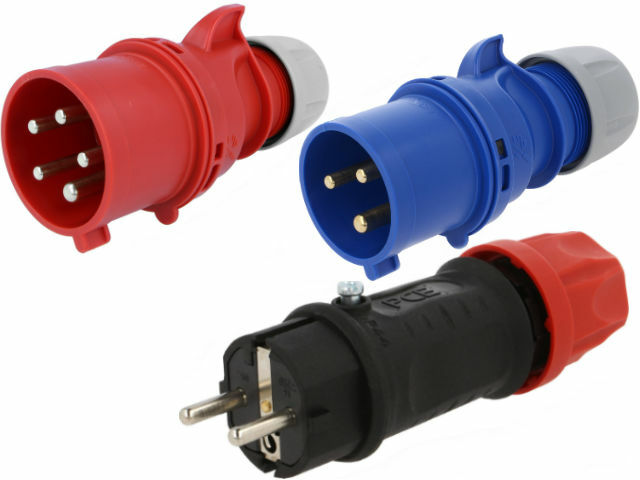 TME offers 1- and 3-phase surface-mounted power connectors, mobile connectors, plugs and socket-outlet adapters. Connectors with rated current of 16A-32A are IP44 or IP67 compliant. In case of currents ≥63A, the protection class is IP66/IP67. Check the connectors fromPCE available at TME.